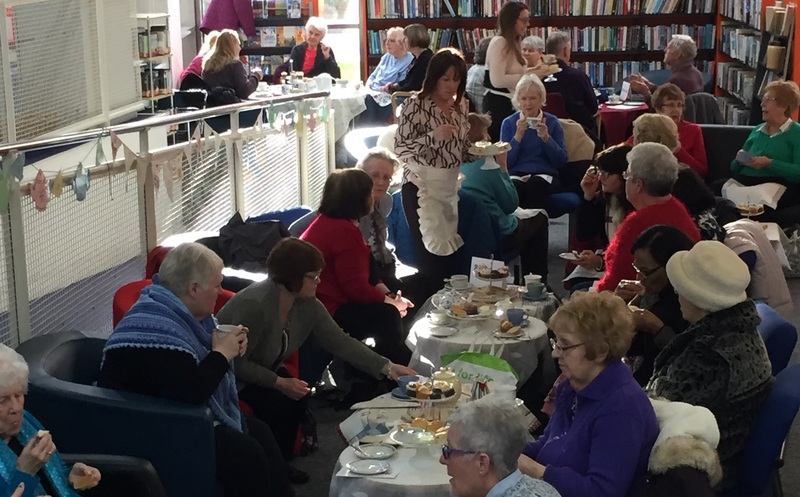 Many groups from the local community who regularly meet in branch, including Knit & Natter, Sewing Bee, Book Folding, Tea and Tech and the Reading Group were invited to the special event. The library provides a welcoming space for the groups giving people a chance to meet and socialise with others while enjoying an activity. 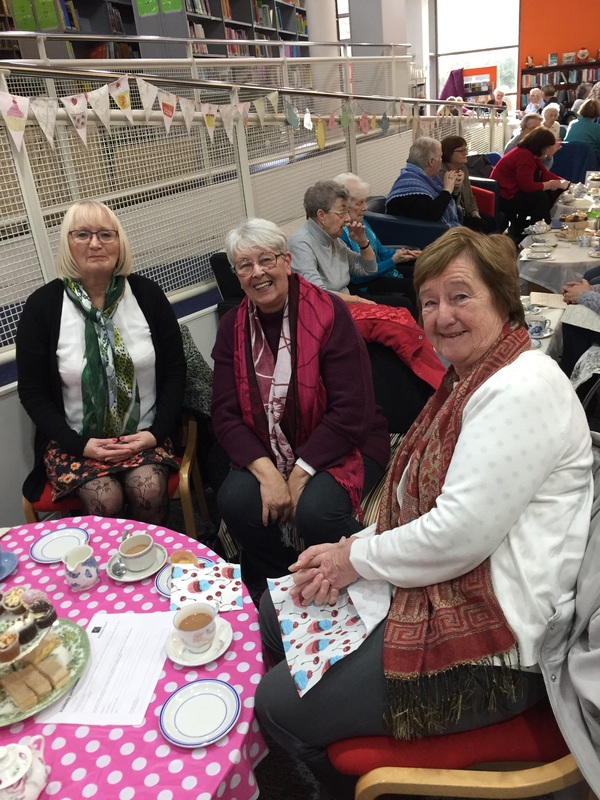 Afternoon Tea was a chance to bring all the groups together to thank them for the valuable contribution they all make to the success of the branch as a place for the local community and to recognise their amazing fundraising efforts. 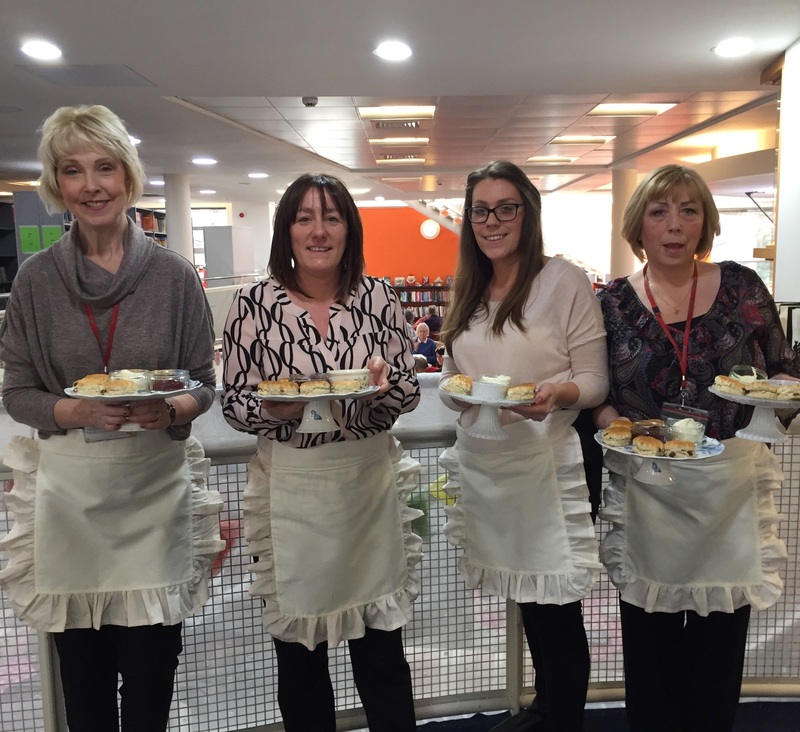 Over the course of 2017, library groups across Knowsley raised £1444.57 for local and national charities, a large part of which was raised from the sale of items produced by the Huyton Library groups. “Huge thank you to all the staff at Huyton library for a wonderful afternoon. The Afternoon Tea was lovely, beautifully presented and delicious. All your hard work was greatly appreciated. 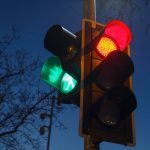 Find out information about groups and actives for adults in the libraries on the libraries website. 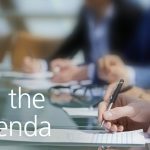 What’s on the agenda at Council on 21 March?